Are you looking for a WordPress theme that conveys a sense of adventure and wonder? 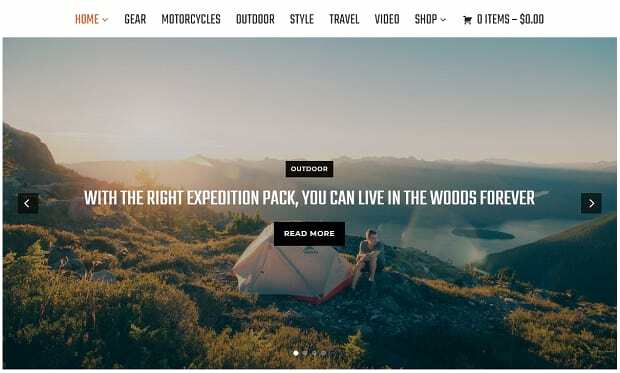 Whether you’re a travel blogger, sell hiking gear, or just love bold and spacious web design, you need a theme that reflects you and your brand. When people visit your site and see one of these themes, they’ll know instantly what your identity is. But what makes a theme adventurous? A clean, spacious look with lots of breathing room. Lots of places for large images — photography and illustrations will play a big part in making your site adventurous and fun. Good typography. Adventurous sites are all about feeling, and great fonts and text placement will enhance every page. If you’re looking for something really stylish for your travel business, Wanderers is just the theme. There’s just so many features and things here, and it’s all easily customizable. Everything you need — a booking widget, user reviews, and every kind of page you can imagine — is all set up here and waiting. 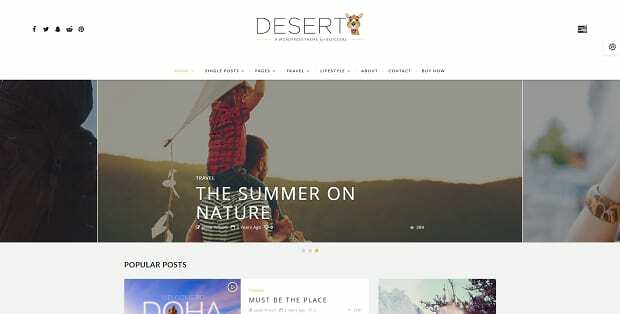 With clean and pure design, Desert appeals to bloggers who loves minimalism and white space. There are four different homepage layouts to choose from and quite a few nifty widgets to add that extra splash of functionality. Travel bloggers will instantly fall in love with this fun theme. Every page has room for one of your favorite travel images as a header, and there’s plenty of pages for bloggers, WooCommerce stores, portfolios, and whatever else you can think of. Try the three column template if you have a lot to pack in, or full width if you like the extra space. This fullwidth theme is simply gorgeous. If photography is central to your website, Gnar will offer you the chance to show it off spectacularly. Every single element on just the homepage is carefully constructed, and there’s a ton more pages and features to unpack. Leave your visitors breathless with this easy-to-customize theme. For the bloggers, authors, and storytellers out there, Hobo is just the thing. It comes with six different homepage layouts to choose from, all of them offering pleasing ways to present your content. There’s also premade pages, layouts, and headers to make your life much easier. Adrenaline was specially made for businesses with a focus on nature, travel, or anything outdoorsy. It comes with a ton of widgets suited to that, such as a weather forecast, opening times, and upcoming activities. If you offer hiking trips or other outdoor activities, you’ll adore this theme. 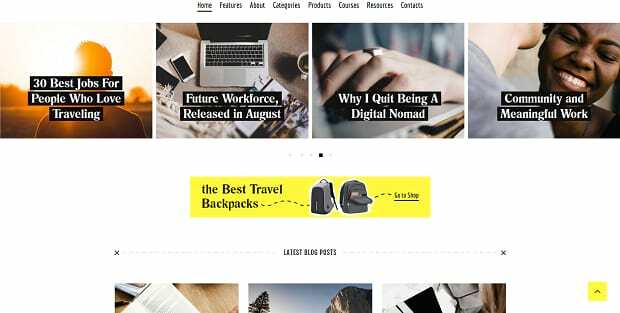 While suitable as an all-purpose theme, Indigo works great for travel gear stores and blogs. With WooCommerce support and a ton of customizable widgets, you have everything you need to build an online shop and magazine. This article wouldn’t be complete without the actual Adventurous theme. If you’re running a blog-focused website but you want some extra wiggle room for your photography, you might just like this. Large images mean lots of opportunities to dazzle your visitors with high-res photography. Try the no-sidebar layout for a super clean look. Love to travel around the world? WPVoyager’s core feature is the Google Maps integration, which leads to some awesome functionality. Let everyone see where you’ve been, and click waypoints to visit the articles you’ve written about those places! This near fullwidth website also gives your photography plenty of focus. Whatever kind of website you run, there are hundreds of thousands of themes out there. It can make it hard to search through all those themes and find what you’re looking for, and that’s what theme collections like this are for. 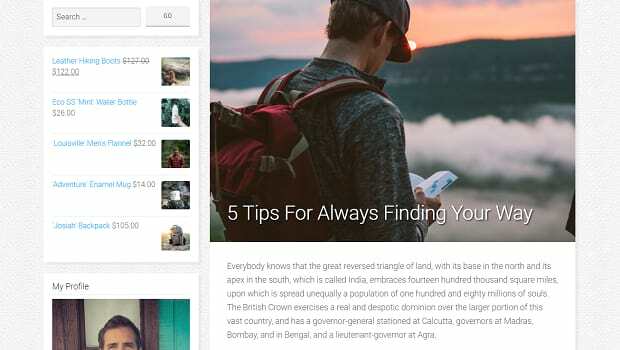 We hope we’ve narrowed down some of the best themes for travel blogs and similar sites for you. Did you find a theme you liked? Let us know which you picked, then follow us on Facebook and Twitter to see more WordPress resources.